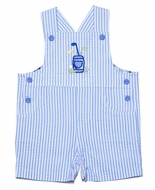 For stylish children's and baby clothing, shop at The Best Dressed Child. 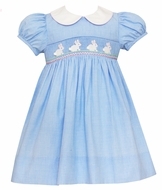 We have a huge selection of smocked dresses and baby clothes. Our selection of boys' and girls' boutique pieces is sure to give your little one an adorable look no matter where they go. From an average day at school to those memorable milestone moments, you'll find outfits for any occasion at our online kids' and baby clothing boutique. Finally, you can get the trendy children's clothes you want for your kiddos without having run all over town. Instead, you're just a click away from the dapper and darling designer duds that are sure to make your kids look and feel great. 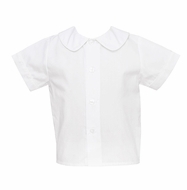 Our selection includes boutique clothing for children of all ages. While we certainly make it easy to shop for those basics every kid needs, like onesies, sweaters, swimwear and pajamas, our unique clothing departments make it extra-easy to shop for special occasion outfits. 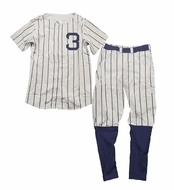 With categories like back-to-school clothing, college team clothes, vacation outfits, and sailor suits, it couldn't be easier to find the themed outfits you have in mind. We even have special categories for those important holidays, like Valentine's Day, Mardi Gras, Easter and, of course, birthdays. And don't forget that you can also shop by your favorite designers, including Funtasia, Florence Eiseman, Kate Mack, Isobella & Chloe, Petit Bebe and more. When you want the best baby and kids' clothes, turn to The Best Dressed Child. We make it easy to find cute and unique outfits for your little ones. Plus, the styles are guaranteed to make for adorable photos while still being cozy enough to make kids feel comfortable.